With Delta's announced move to a revenue based mileage earning program as opposed to the current miles based earning, will the other legacy carriers (United & American) follow suit? Starting in 2015, Delta is changing the way miles are earned. Until then, you earn the distance flown in miles which you can use for award travel redemption. Beginning January 1, 2015, miles earned will be based on the ticket price (base fare plus any carrier-imposed surcharges) instead of distance flown. Delta is applying this change to Delta-marketed (flight number with a “DL” airline code) or Delta-ticketed (the ticket number will begin with “006”) flights. This affects how miles are earned, and not the redemption of Delta Skymiles. Arguably, this change is not for the benefit of travelers who earn miles for families because from then on, the miles earned will be significantly less than what they will earn on a distance based system. 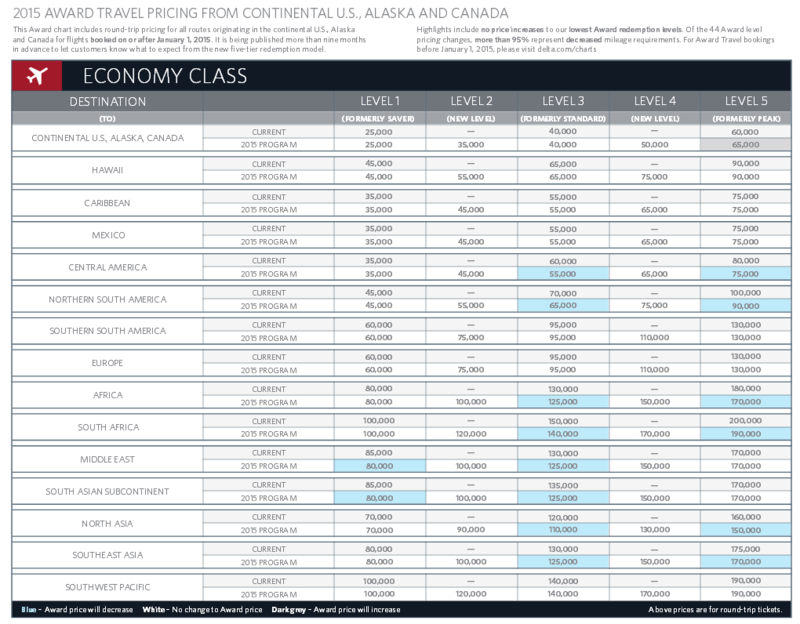 For example, a transcontinental flight from LAX-JFK-LAX will earn 4950 Skymiles on the current distance based earning level regardless of price paid; while on a revenue based, a sample flight where one pays a round trip ticket of $413 (base fare of $363, x5 miles earned for a General member) will only earn 1815 miles. 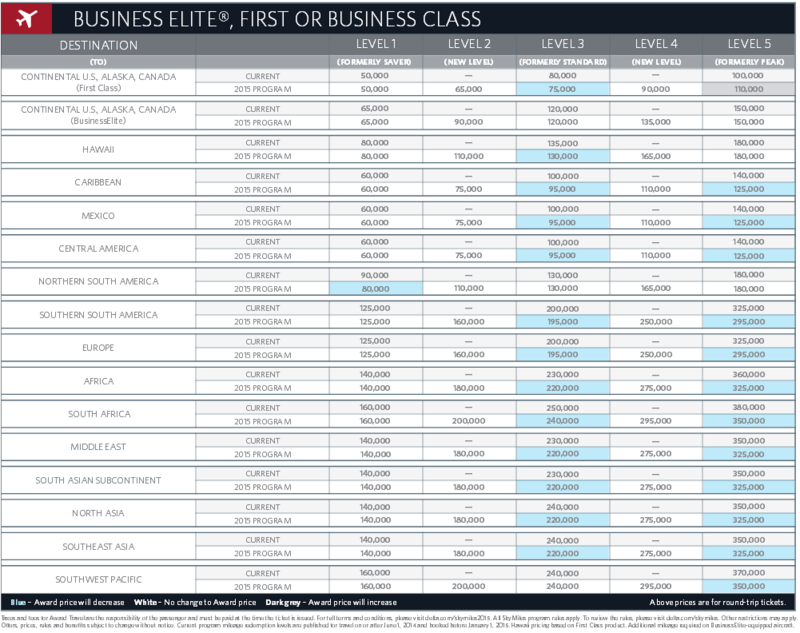 The mileage earning for Delta's non-airline partners (Skymiles Shopping, etc.) remain the same as these are where you earn miles based on your spend. 3. Decreases on many of the award level pricing changes with many decreasing by about 5,000-10,000 miles. More references for reading here. Happy earning!